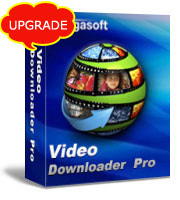 Free download Bigasoft iPod Software Pack and save big now! Bigasoft iPod Software Pack is bundled with 3 powerful iPod software including Bigasoft DVD to iPod Converter, Bigasoft iPod Video Converter and Bigasoft iPod Transfer just designed for iPod fans to save money. Need to get songs off iPod? Bigasoft iPod Transfer can help you retrieve files from iPod and copy them back to computer even without iTunes. Wonder how to play DVD on your iPod? Easily convert DVD to iPod MP4 with Bigasoft DVD to iPod Converter for taking DVD with you. Did iTunes refuse to copy your favorite movies to iPod? 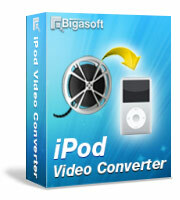 Bigasoft iPod Video Converter is the right solution to convert video to iPod for you. How to copy songs from your friends' iPod? 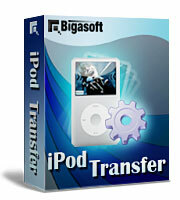 Bigasoft iPod Transfer helps you to copy files between iPods even without iTunes installed. Have you worried that the conversion or transferring would take much of your time? The powerful DVD iPod converter, iPod video converter and iPod transfer all work with super high speed to save your valuable time. You can finish conversion or transferring only in few clicks. They are all especially designed for iPod fans to meet your demanding needs. The wonderful Bigasoft iPod Software Pack with charming interface brings more happiness for your iPod. Free download the powerful iPod Software Pack, and enjoy your iPod more! "Your software always rocks when iTunes strike. It is Swiss knife for all my three iPods." Ready to try or buy Bigasoft iPod Software Pack? Bigasoft iPod Software Pack, the professional and most ideal iPod software discount pack, combines Bigasoft DVD to iPod Converter, Bigasoft iPod Video Converter and Bigasoft iPod Transfer into one pack especially designed for iPod fans. Just free download this most ideal iPod software pack and save big now! Convert DVD or other popular video formats like AVI, MPEG, WMV, MOV, RM, RMVB, DivX, ASF, VOB, 3GP, etc. to iPod video MP4 with Bigasoft DVD to iPod Converter or Bigasoft iPod Video Converter. Convert DVD audio or other audio files like WAV, WMV, MP2, AC3, RA, M4A, OGG, and AAC and so on to iPod audio MP3, AAC, and M4A. The professional iPod software pack runs with super fast and unmatchable converting and transferring speed. 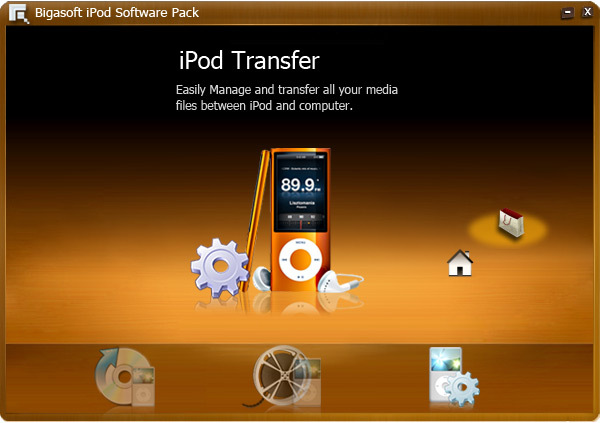 The powerful iPod software pack can accomplish DVD iPod conversion, iPod video conversion and iPod transfer only in few clicks. The user friendly and concise interface enable you have a feeling of beauty and comfortableness. 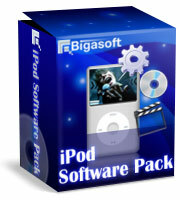 Bigasoft iPod Software Pack is compatible with all Windows including Windows 8/7/XP/Vista/2000.